Very rough lot of T206s, please check our website for condition detail. 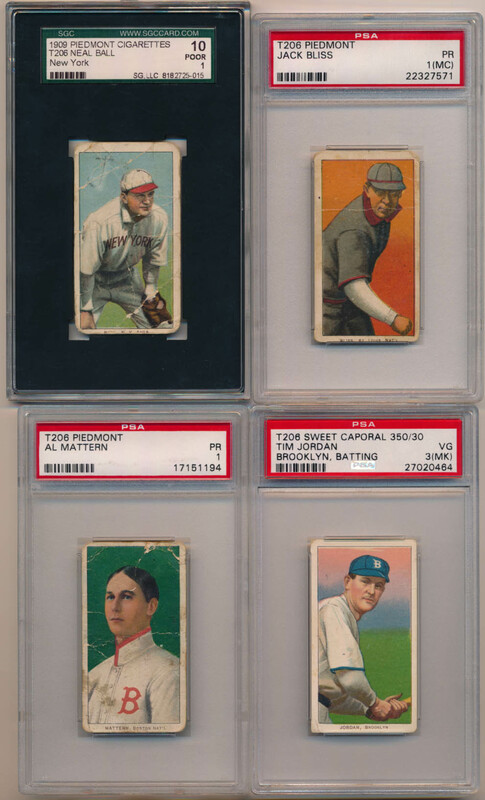 Four slabbed cards come in the lot: Ball SGC 1, Bliss PSA 1 mc, Jordan PSA 3 mk and Mattern PSA 1. Something tells me this will be a very popular lot in this auction!